Single Wide Mobile Homes offer comfortable living at an affordable price. 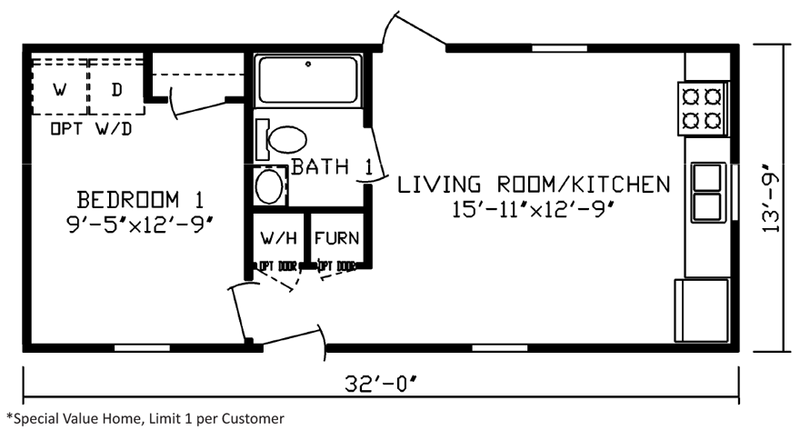 Enjoy browsing our impressive collection of Single Wide mobile home floor plans. Single Wides, also known as Single Sections, range from the highly compact to the very spacious and come in a variety of widths, lengths and bedroom to bathroom configurations. The collection below represents a full cross section of Single Wides mobile homes in every available series. Click on any model below to learn more about each model’s standard specification level. For nearly half a century, the Fairmont Homes brand has been synonymous with beautiful, quality-built housing. A leader in design, innovation and construction technique, Fairmont offers recreational homebuyers value-packed and stylish mobile homes.